Welcome to our beautiful concert venue and eatery. 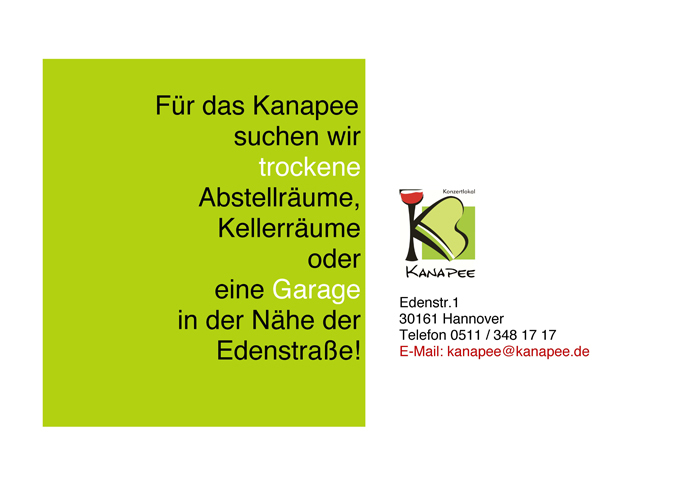 Located in the centre of Hannover – between the Lister Meile and Celler Street – we invite you to our cosy and tastefully decorated KANAPEE. We have been around now for 30 years! KANAPEE has become a very special and unique cultural meeting point. 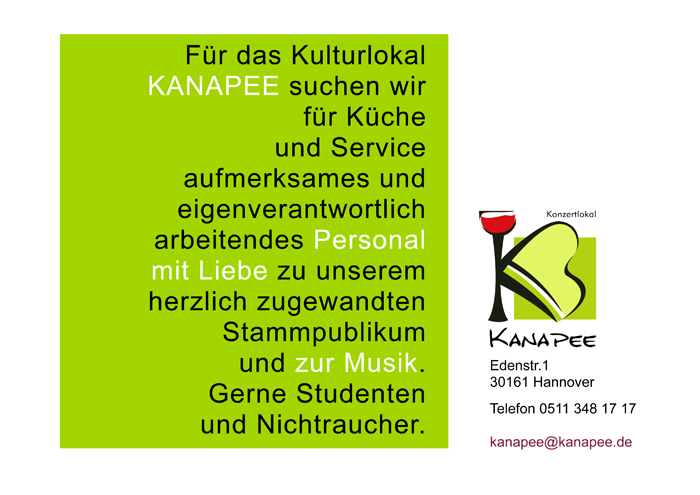 KANAPEE has marked the beginnings of many young talents and also today, well known artists, who hold countless concerts, readings and cultural discussion evenings. Internationally acclaimed and young artists can be seen and heard at KANAPEE anywhere from three to seven concerts a week. Many have also become good friends! We enjoy catering to your culinary wishes from the KANAPEE kitchen, before and after concerts or during breaks; freshly prepared meals, selected wines and organic juices – and with our opulent breakfast buffet for Sunday morning matinees. 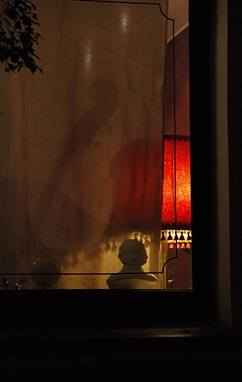 If your interest has been awakened, or you would like to find out more about us, please browse through the rest of our webite or stop by for a visit!. Please be advised, for your reservations and/or special inquiries ‚contact forms‚ are available via our menu on this website.